The size of nation’s defence budget is related to a wide range of factors. With GDP as the base, the percentage of it, which should be allocated to defence depends on a number of issues. The size of the defence forces itself, being one factor, which in turn is related to the geo-strategic environments, extent and nature of threats to national security. Then there is the issue of extent of borders and the imperatives of safeguarding the territorial integrity of the country. It also depends on the state of the armed forces itself, in terms of their ammunition stocks, equipment and weaponry and the need for their modernization. Instead of increasing overall allocation of funds, there appears to be a push for lower figure, for revenue expenditure, within the total amount for the army, so that more is available under the capital head. Finally, in the case of India, there are the add-on to the defence forces, such as defence PSUs, DRDO, Ordinance Factories, Defence Estates Department, MES, Ministry of Defence itself, etc who draw their sustenance from the defence budget. Parliamentary Committee on Defence had, as a general yardstick, pitched annual defence budget at 3 percent of GDP. However, this figure has never been reached and consequently, general preparedness and modernisation of forces have stagnated, while potential adversaries have moved far ahead in this field. The budget for the year 2018-19 was 1.58 percent of GDP, where, out of army’s share, nearly 70 percent had to be committed to revenue expenditure, leaving only just about 30 percent for capital expenditure (towards purchase of ammunition, equipment, weapons, modernization, civil works etc. ) This small left over for capital expenditure is due to overall low allocation for defence. Instead of increasing overall allocation of funds, there appears to be a push for lower figure, for revenue expenditure, within the total amount for the army, so that more is available under the capital head. Revenue expenditure is by and large constant and since the allocation for defence has been reduced to, 1.51 percentage of GDP, for financial year 2019-20, in the interim budget, consequently what will be left over for capital expenditure would come down to less than 30 percentage point of the army portion of budget. Since the requirement for capital expenditure is much higher due to compelling need to make up deficiencies of weapons, ammunition and equipment, as well as for modernization and there being no likely hood of allocation of more funds, these areas will continue to stagnate. Instead of allocating greater percentage of GDP for defence, this government, is opting for reduction of army’s manpower. Overtime cities have expanded and at many places surround military cantonments. This has resulted in cantonment lands becoming very valuable. Thus land sharks, in cohorts with the political class have been eyeing cantonment lands. As a first step cantonments roads have been opened to civilian traffic. Continuing on this thrust, one editor-in-chief of a national news magazine has gone to the extend of recommending sale of valuable cantonment lands for commercial use and moving the army out to some far off places, where land is cheap and use the sale proceeds of cantonment land and assets there on to meet military’s needs for more funds. Mercifully this editor-in-chief stopped short of recommending sale of most valuable land in the country: that of Supreme Commander’s residence. After all, it could be argued that he does not need 350 acres and the golf course there on! May be he could be moved to some other location: Nehru Memorial Museum and Library, for one! For long, land mafia and political bigwigs have been eyeing highly valuable military’s assets at Shimla. It appears military has finally fallen in line to full fill their nefarious design. Now this reduction of overall expenditure within the defence budge is possible by reducing manpower, be it in the army or other areas such as DRDO, Defence PSUs, Ordinance Factories, MoD etc. Given the extremely disconcerting security scene, any reduction in Army’s strength has its own implications for national security. 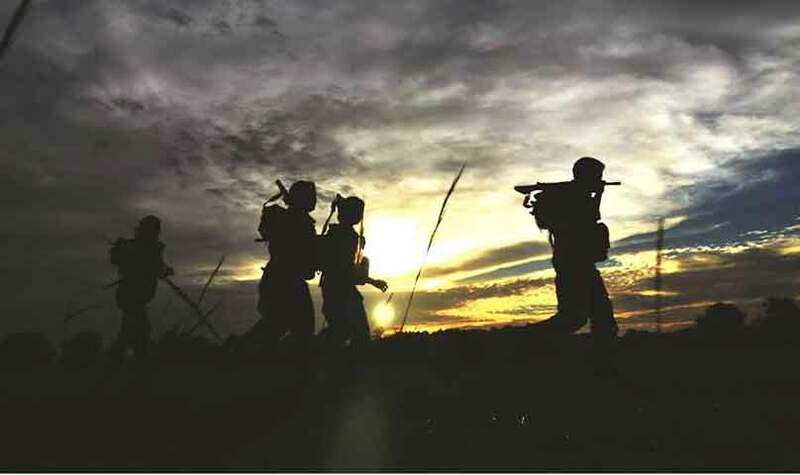 However Army as it seems, is all set to reduce strength of its personnel by 1 lakh and restructure the field formations, though their existing organisations have been battle tested across many wars over the last century. Equally the basic parameters or principle of war are not likely to undergo any major change, any time soon. Failure to influence the external, army’s higher command has been tampering with the internal. Consequently successive committees were formed to tailor down the strength of the army. This has often been done under the false notion of designating some component of support services as ‘fat,’ and consequently dispensable. Just to point one case, General Krishna Rao Committee did away with, ‘stretcher bearer,’ companies of mountain divisions and argued that in future, casualties would be evacuated by helicopters. How would helicopter lift casualties from enemy’s FDLs and along steep slopes and of course in bad weather, is something which did not seem to concern this Committee. While some reduction in military’s manpower may be possible without de-rating it’s fighting potential, but the actual, ‘fat,’ lies elsewhere. Come Kargil, good percentage of fighting troops got committed to evacuating casualties, thereby seriously impacting battalion’s combat capabilities. It takes minimum of eight persons to evacuate one casualty in the high mountains. It is possible that some casualties at Kargil died for want of timely evacuation. Further, of the numerous recommendations these committees have been making, MoD has been cherry picking those that suits it, without regard to the fact that most of these are inter-linked, consequently picking one and leaving the connected recommendation out, has had its own adverse implications. In line with this state of affairs, there appears to be a move to privatize EME’s Base Workshops and even Station Workshops and place these under the overall control of MoD. Most of these are in the center of military areas and the issue of security of other military installations, in the immediate vicinity will arise. However the pertinent issue is that their control by the MoD will reduce these civilian workshops to the same state as Ordinance Factories, where their produce is of poor quality and cost of products exorbitant. Standard of overhaul of tanks by the Avadi Factory (under MoD control) has been unsatisfactory. While some reduction in military’s manpower may be possible without de-rating it’s fighting potential, but the actual, ‘fat,’ lies elsewhere. There has been no move to drop those that have outlived their utility and continues to be a drain on the defence budget. When to cut court expenditure, Louis X1V ordered that the horses from the palace be dispensed with, Voltaire is believed to have observed that it would be far better to get rid of the ‘asses’ in the royal court. Therefore, it is imperative that what needs to be cut down is correctly identified. There are those who argue that with better and more sophisticated technologies finding place in the military, it should be possible to cut down on the manpower. Firstly, state of the art technology is at least a decade away from the Indian army, which presently lacks a suitable, rifle, bullet-proof jacket and even boots for its infantry. Moreover the extent, terrain and threats along country’s long and undecided borders require boots on the ground. American army with the best technology at its disposal, spending one trillion dollars, over 17 years, but without adequate boots on the ground, has had little success in Afghanistan, against the rag-tag Taliban. There are nearly 3.5 lakh civil employees paid out of defence budget. This group constitute the real ‘fat,’ where many organisations need to be dropped and other cut and cut drastically. Therefore, it is imperative for the Indian government and not just by the army, to identify areas including civilian manpower and assets where cuts need to be made. Integrating the three services ( army, navy and air force) will not only save manpower but substantially enhance operational capabilities. Further cuts are possible by integrating services headquarters with the MoD. A cogent and comprehensive defence policy needs to be worked out by the political leadership through the medium of National Security Council, taking into account the country’s emerging threats and determining acceptable risk levels. What needs to be kept in focus is, that country’s geo-strategic environments and the security scene is anything but re-assuring. India’s economic progress is directly linked to its hard power. Policies can change in matters of weeks, while it takes years, if not decades to build military capabilities. 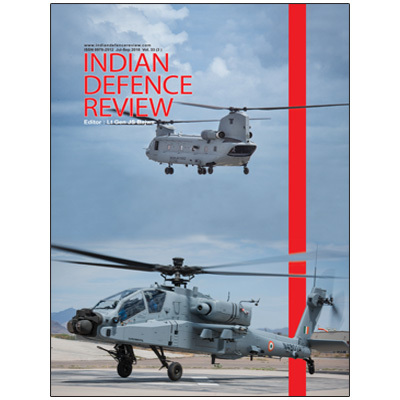 India’s military power is badly in need of substantial up-gradation: now than later. Former Deputy Chief of Army Staff. He also commanded a corps in J&K.